Straighter Teeth. No Metal Braces. Invisalign® straightens your teeth using a custom-made series of clear aligners created for you and only you. These aligner trays are made of smooth, comfortable and virtually invisible plastic that you wear over your teeth. They gradually and gently shift your teeth into place. There are no metal brackets to attach and no wires to tighten. You just pop in a new set of clear aligners approximately every two weeks, until your treatment is complete. You’ll achieve a great smile with little interference to your daily life. In the past, to get these kind of results you would have to visit an orthodontist. This is no longer the case. At Perfect Smiles Dental Care, we are able to provide both our adult and teens with a much less intrusive orthodontic treatment plan. Ask about our Invisalign® Teens program. -No Charge Invisalign® consult with the Doctor. How long does it take to straighten your teeth with Invisalign®? How much does it cost for Invisalign®? Can Invisalign® be covered by insurance? Is Invisalign® as good as braces? How Long does it take to straighten my teeth with Invisalign? In years past, it used to be that a perfect smile might take years to achieve. For most patients, getting their teeth straightened and having a great smile was done by using uncomfortable, unsightly braces. Using traditional orthodontics required regular appointments, sometimes painful adjustments, and of course the dreaded “brace face” look. For a lot of families this was even seen as a rite of passage – into adulthood. Thankfully, it’s no longer the case that one has to go through the uncomfortable process of old-style metal and wire. Do you have a graduation coming up in the next few years? How about a wedding or special vacation or trip planned? Are you thinking about that next promotion at work and wanting to have a great smile? 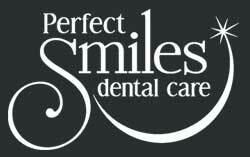 If a great smile is something you’ve been wanting for yourself, look no further. Invisalign is a dental treatment that will let you live your life while getting your smile to be the way you and your doctor have planned. What a lot of people don’t know about Invisalign is that it takes fewer visits to the doctor, uses almost invisible aligners (also called “trays”), typically works faster than traditional orthodontic treatment, and produces long-lasting results. In our follow up consultations with our new patients, they often tell us how glad they are to learn the clear aligner technology is less visible than the traditional approach. Our teen patients especially love this! Because each patient is unique, it takes a qualified doctor to determine how long you’ll need to wear Invisalign to straighten your teeth. However, it’s common for many patients to complete their treatment plan within 12 to 24 months – sometimes sooner. When you meet with Dr. Kelly Bridenstine for your complementary comprehensive exam, he’ll be able to give you the information you need – including how long it will likely take to straighten out your teeth with Invisalign ®. How much does it cost for Invisalign? According to an article on Colgate.com, the average cost for Invisalign treatment varies anywhere from $3500 to over $8000. As part of your comprehensive exam, Dr. Bridenstine will work with you to determine what it will cost for your Invisalign treatment, and what portion of that may be covered by your dental insurance. Most dental insurance companies like Delta Dental will cover Invisalign just like they would with regular braces. The cost will vary from patient to patient based on a number of factors including how many sets of Invisalign aligners you’ll need, how long you’ll be in treatment, and other factors. One of the great things about getting Invisalign® from Perfect Smiles Dental Care is that you’ll automatically be entered into the “Whitening For Life” program so that once you’re finished you’ll be able to keep your smile bright! Can Invisalign be covered by insurance? Invisalign might be covered by traditional dental insurance plans, like those offered by United Health Care, or Humana Health Care under the orthodontic care portion of the plan. While every patient and insurance coverage is unique, it’s normal that a dental insurance plan will pay for a percentage of the orthodontic care. Some insurance companies limit the dollar amount they’ll pay for certain treatments. As part of the complementary comprehensive exam that you’ll received when you come to Perfect Smiles Dental care, we’ll work with your insurance provider to find out what portion they will cover. There are other options to help reduce the cost of Invisalign that you may not be aware of. If your company offers a health savings account, or a flexible spending account, it’s likely that you can use funds from one or both of those to help pay for your Invisalign treatment. Is Invisalign as good as braces? Patients often ask themselves, “Traditional orthodontics Or Invisalign”? First, it’s best to let a qualified doctor or orthodontist determine what is the best plan of action to give you the smile you’ve always wanted. However, it’s interesting to note that there are pros and cons to each – let’s discuss those for a few minutes. Because you want to straighten your teeth, or have them aligned correctly, both Invisalign or braces will be able to do this. The end result will be similar, but the process is not the same. Brackets and wires are the more traditional method used to align teeth. This technique uses materials made of metal or ceramic brackets that are “cemented” or bonded to the teeth. Wire is then inserted into the bracket and is tightened (usually during a monthly visit) throughout the treatment process, which results in a bite that is aligned. This method has been used longer, and so there is more data (more patients have had the treatment) about positive outcomes. If you think that you won’t be able to be compliant when using Invisalign, then this might be a better treatment option for you. The downside is that braces are highly visible when smiling, and will show up in photographs. If you suffer from lower than normal gum health, or have other dental health issues, then it’s possible that standard orthodontic treatment may not be the best choice for you. Because traditional orthodontics can’t be removed, it does limit the types of foods you can eat, and patients should not chew gum while wearing braces. Invisalign is a more modern method of aligning the teeth. The treatment consists of clear plastic aligner trays carefully molded from impressions of your mouth. The trays are worn at least 22 hours per day (you’ll sleep with them in) and taken out to eat, floss and brush. Most patients get a new set of trays about every six weeks or so. Because Invisalign trays are made from clear plastic, they are less noticeable in photographs and even when speaking. The cost is typically inline with traditional ortho, and most insurance companies will provide the same coverage dollar for dollar as compared to traditional braces. However, it’s important to be compliant – the longer the trays are out of the mouth, the longer the treatment plan make take. While a pros and cons list is always good for being informed and making an educated decision, it’s best to work with your dental professional to determine the best plan to give you the straight, white smile you’re desiring. At Perfect Smiles Dental care, we’re proud of our “No lecture zone” policy and will gladly work with you to determine what will work best for you. Whether you are located in Olathe, Prairie Village, Overland Park, Shawnee,Louisburg, 816 or 913 we look forward to talking with you about your options for orthodontic treatments. Our Lenexa office is fully equipped to provide concierge level service to children, teens and adults. Call us today to schedule an appointment.